The following is a guest post by James T. Bartlett whose latest book, Gourmet Ghosts 2, looks at some of the lesser-known murders and weirdness (and ghosts) that took place in bars, restaurants and hotels in the City of Angels – places you can visit today! 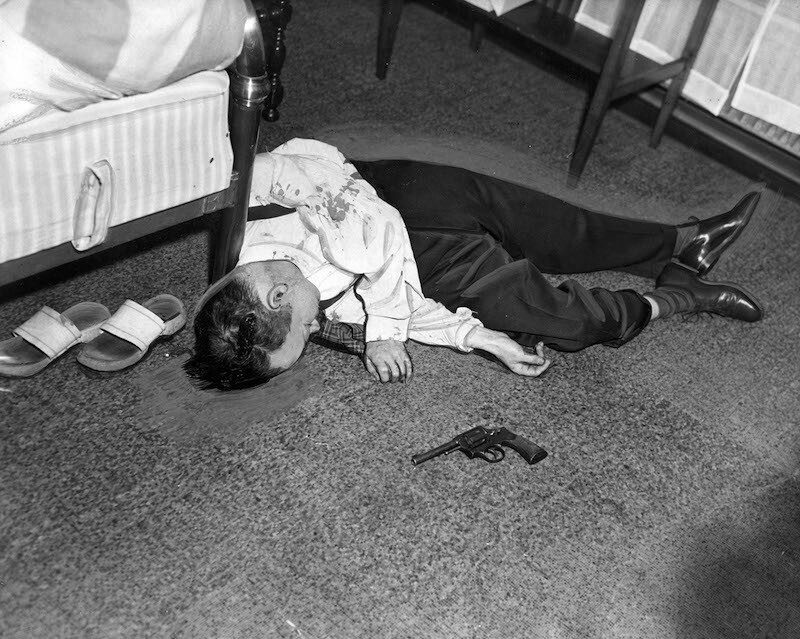 America’s obsession with the murder and mystery of yesteryear has reached an all-time high. O.J. and JonBenét have come back to haunt us. Netflix is bursting with true crime documentaries. And that’s to say nothing of the “ripped from the headlines” shows we all chomp on like hungry zombies locked in a graveyard. 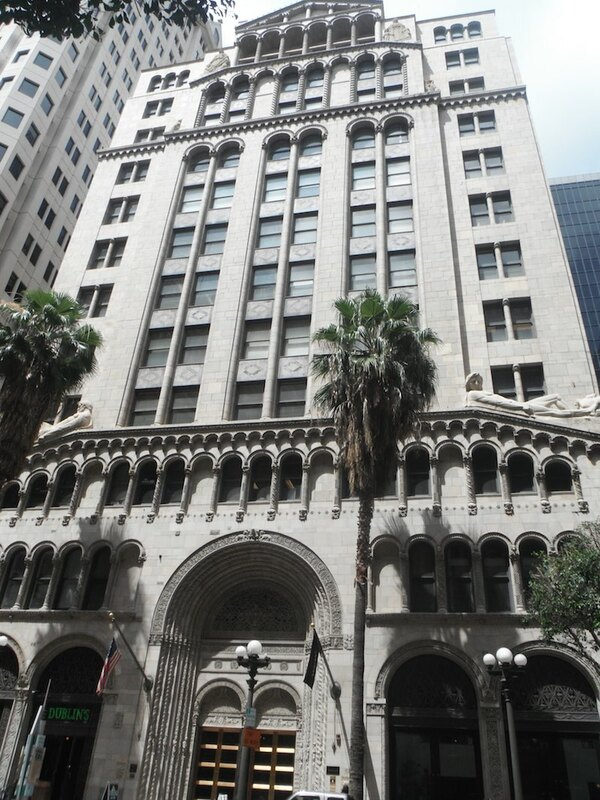 During my research for Gourmet Ghosts 2 I’ve had the unique opportunity to delve deeper still into the dark underbelly of our very own Los Angeles. What I’ve uncovered are countless tales of death and deception that titillate nearly as much as they confound. And, if you’d allow me, I’d like to share just a few of my favorites below. September, 1967. The Fine Arts building is the scene of a theft by secretaries Terry Frank and Annalie Mohn. The pair stole thousands of dollars of bank securities from the company they worked for then made a Thelma & Louise/Psycho-style run for it across the country. Terry and Annalie hopped a ‘hound to Miami, where Terry’s estranged husband lived, but their high hopes for days of beach living would be soon come to an end. Mixed up with a bad crowd (a gang that included thief Jack “Murf the Surf” Murphy), Terry and Annalie were found clad in their swimming suits and jewelry in an isolated waterway – and with blocks of concrete tied around their necks. They’d made it to Hollywood – but Hollywood, Florida. The year was 1954, and Diane Wells was in town under a cloud. She and her jazz drummer lover Johnny Warren were on the hook for the murder of Diane’s husband Cecil back in Fairbanks. She was staying at the Drake Hotel – now the Scientology Welcome Center – and friends were worried about her; they’d already found pills in her handbag. The trial was coming, and it had everything, including an inter-racial affair and rumors of an abortion. That was red-hot stuff for the time. Diane couldn’t handle it. 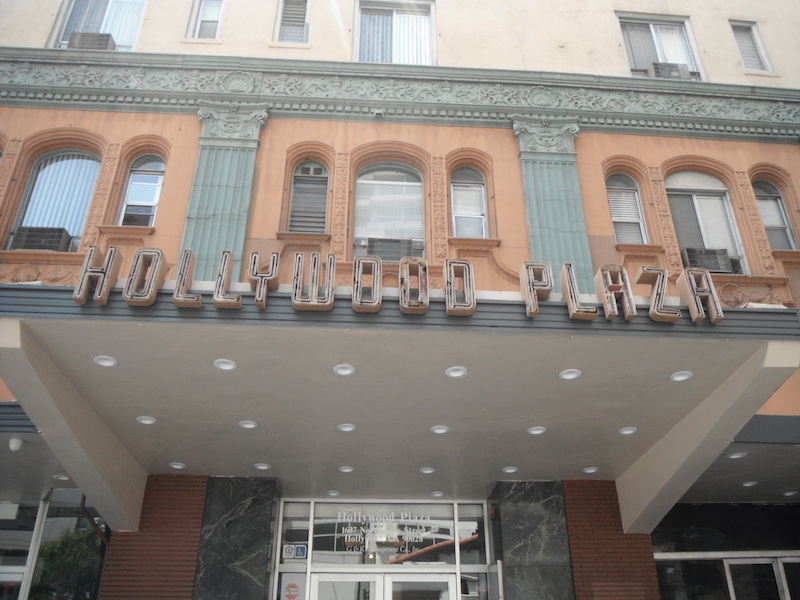 She left the Drake, walked along Hollywood Blvd and turned onto Vine, taking a room at the Hollywood Plaza under a different name. Later that night she swallowed a deadly dose of pills – and, of course, soon after that the case against her was dropped. You can share in that bittersweet memory at the Plaza – there’s a Chocolate Bar Pastry Café on street level – but back on the Boulevard there’s a suicide pact that requires your attention. It also began at the Drake, which was then called its original name, The Christie. “It’s too much, too fast.” But what was it? 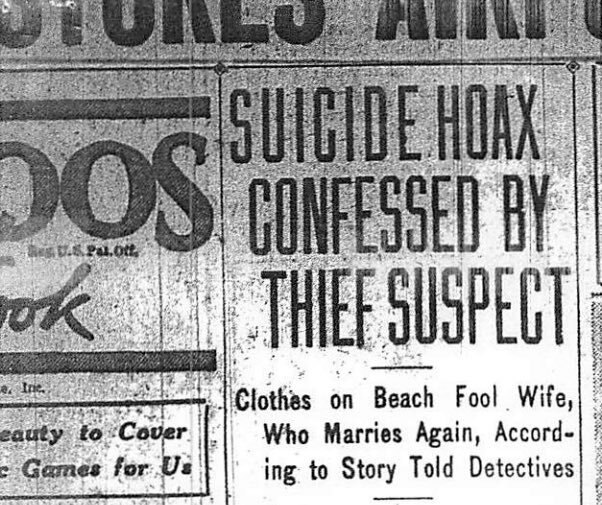 Turned out it was probably his affair with chorus girl Cecil Warner, who, on hearing the news, swallowed a bottle of chloroform – even though Mason wasn’t dead, just in the hospital. Her sad note? 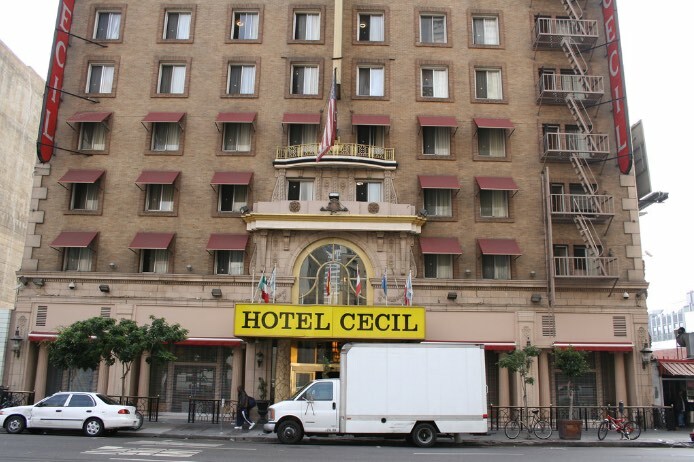 The Cecil Hotel was renamed Stay on Main some years ago, but signage indicating the old moniker remains to this day. Of course there’s more than just signs that make The Cecil a name that sticks. While it’s true – but creepy – to think that all hotels have suffered a case or three of suicide over the years, the archives show that the Cecil has an extraordinary catalog of violence and death. Serial killers, a sniper, an arsonist, a baby killer – they’ve all stayed there. And that’s to say nothing of many suicides, or the viral sensation that was the puzzling death of Elisa Lam, whose naked body was found in the water tank just a few years ago. Talk about a real American Horror Story Hotel. In June 1928 a jewelry thief named Ferdinand Albor was arrested. Ho hum. Spooling ahead a few days in the newspaper archives though, there was a story about K.L. Baumgartner, who had returned from the dead – his clothes had been left on a beach in Venice, California, and it had been assumed he committed suicide. A headline from the L.A. Examiner, July 24, 1928. He blamed a head injury for his four year scam, but since his wife had remarried, she now needed to obtain an annulment and then re-marry her new husband (a process that would take at least a year). Bizarrely, this meant that meant the estranged pair had to have an awkward meeting at the County Jail. Gourmet Ghosts 2 is now available for purchase on Amazon ($19.95) and via select Los Angeles retailers. Author James T. Bartlett will be in conversation at The Last Bookstore on Oct. 28 at 7 p.m. Find out more about the author at gourmetghosts.com or follow him on Twitter @gourmetghosts.